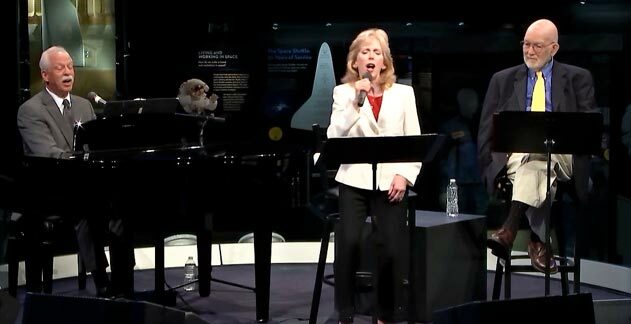 In addition to giving talks, Michael Lasser also joins with highly-regarded singers Cindy Miller and Alan Jones. The topics are the same as for the talks, but there’s a lot less talking and a lot more music. Left to their own devices, Cindy and Alan would probably sing jazz, but Cindy is a first-class mimic and Alan is also a perceptive accompanist. A musical chameleon, Cindy turns into Julie Andrews one minute and Ella Fitzgerald the next. But her own distinct stage personality underscores everything she does. Alan does everything from conduct choirs to play piano and sing in cabarets. Sometimes you close your eyes and you swear you’re hearing Billy Eckstine. To see Michael's scheduled of upcoming Concerts click here or scroll down the page. For more information about Cindy Miller, try her web site by clicking here. Sixty and Ninety Minute Concerts available on a wide range of musical topics. For more information, click here. Video edit of an Irving Berlin program.